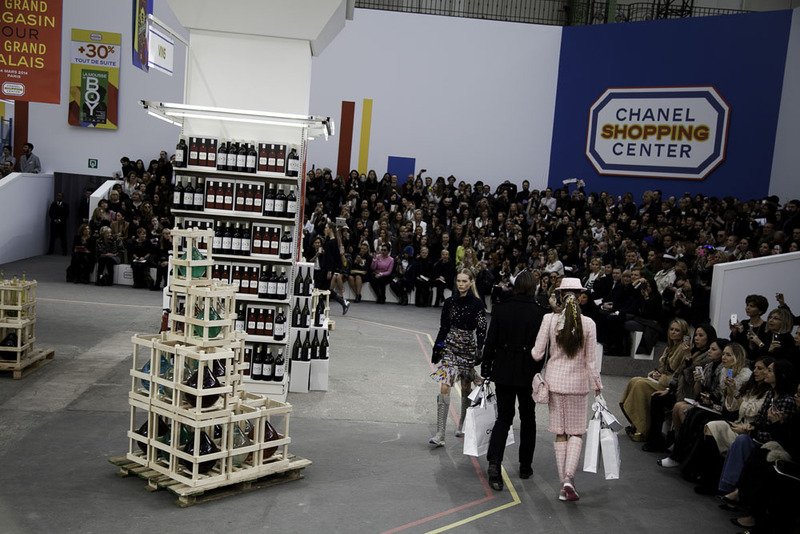 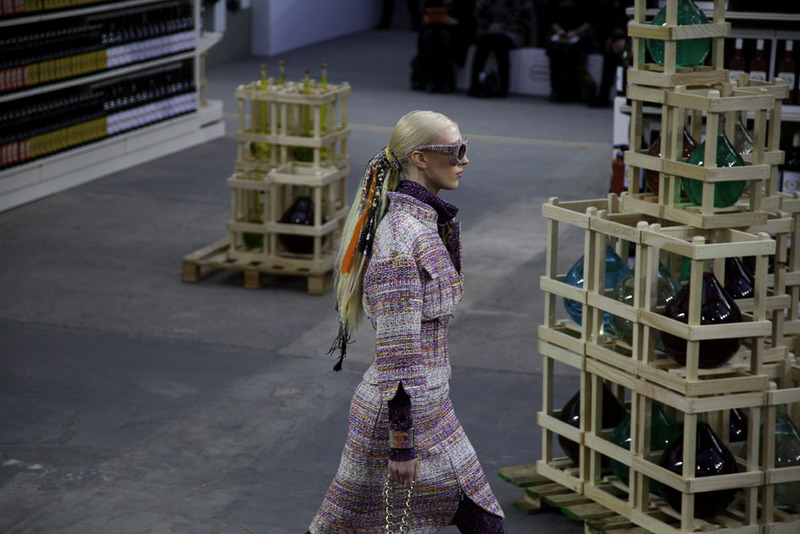 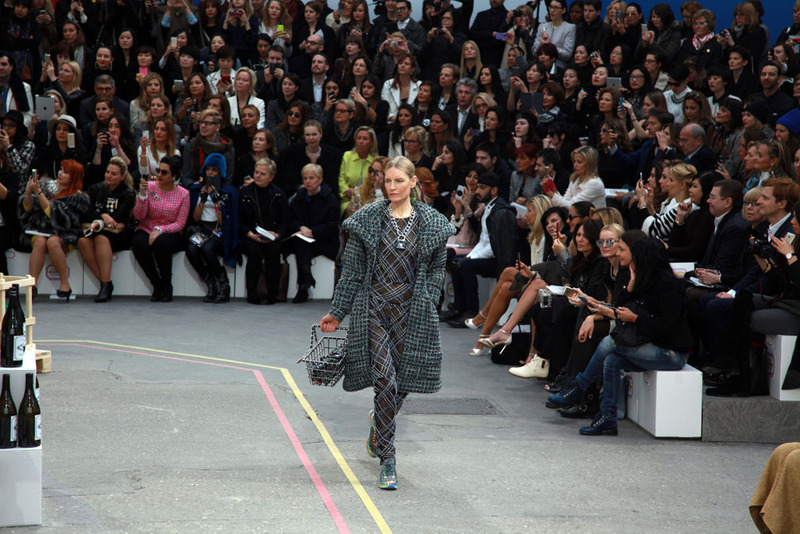 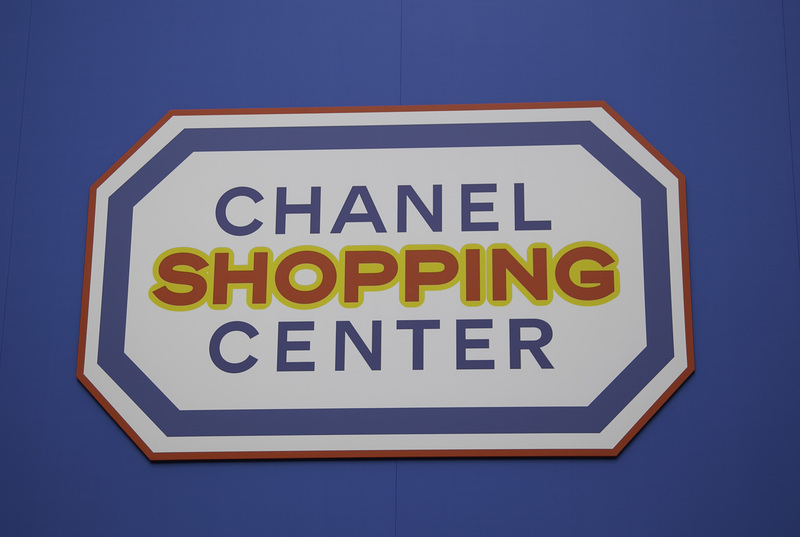 I am grateful to have seen many shows in the last years and I have to give the price to most creative setting to this one of Chanel FW 2014, the creativity direction behind this. 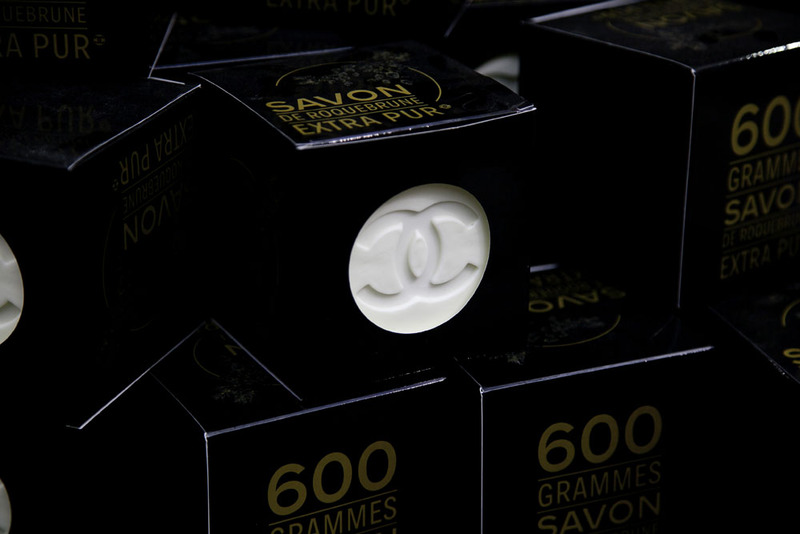 On this amazing – Grand Magazine – like Tim Blanks would call it where more than 100k products, all branded with the iconic elements of the brand, starting with their logo. 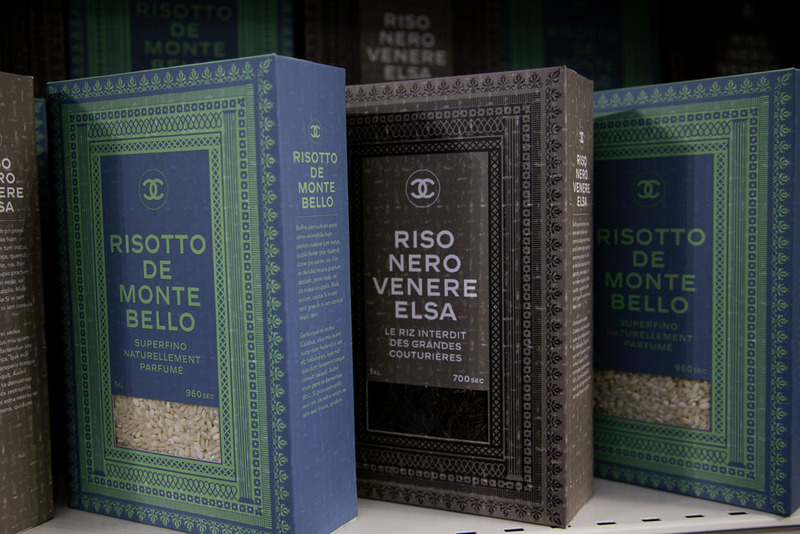 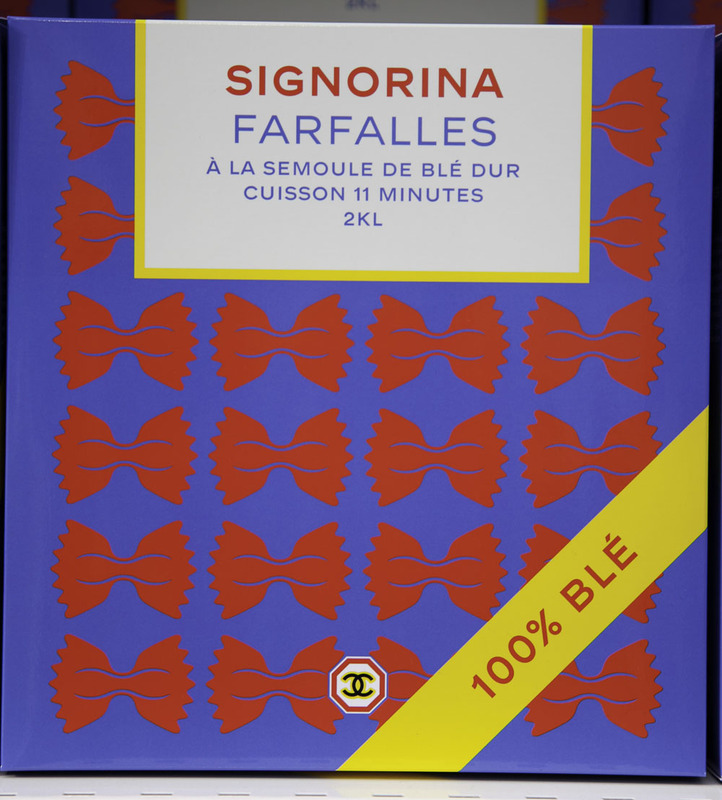 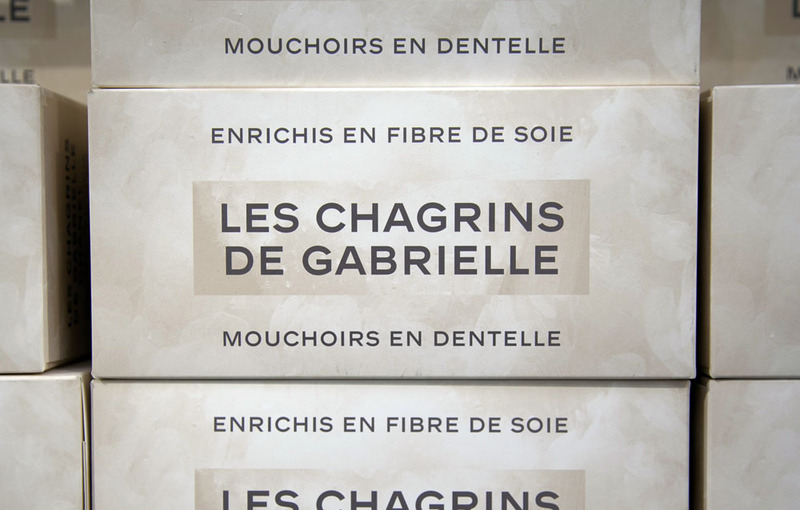 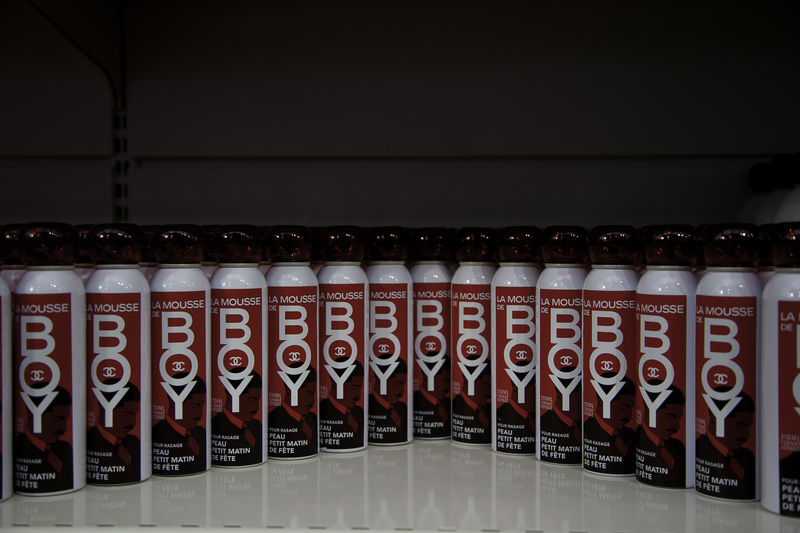 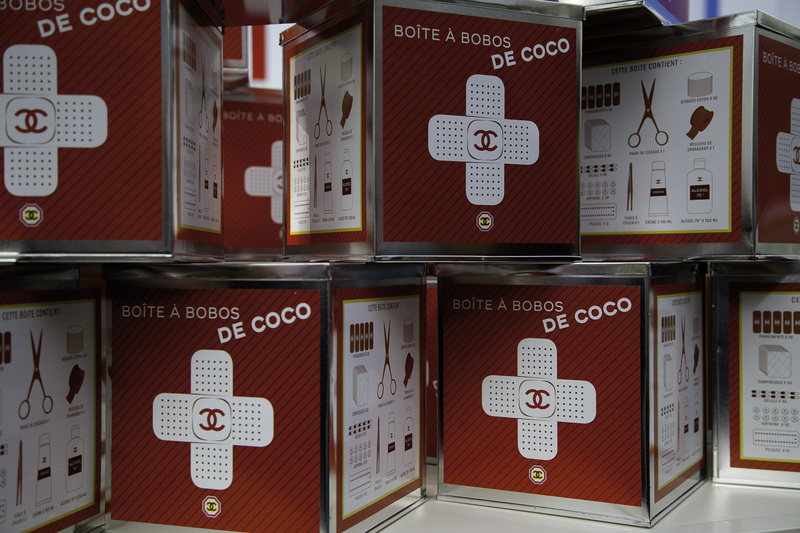 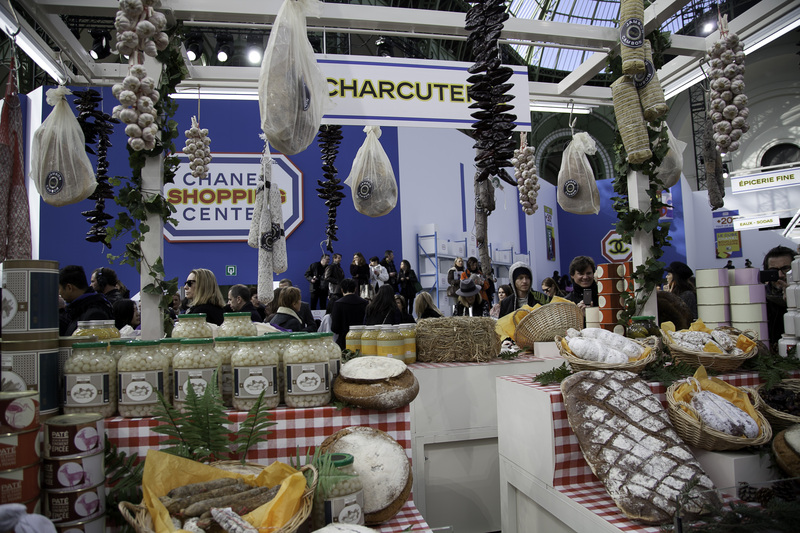 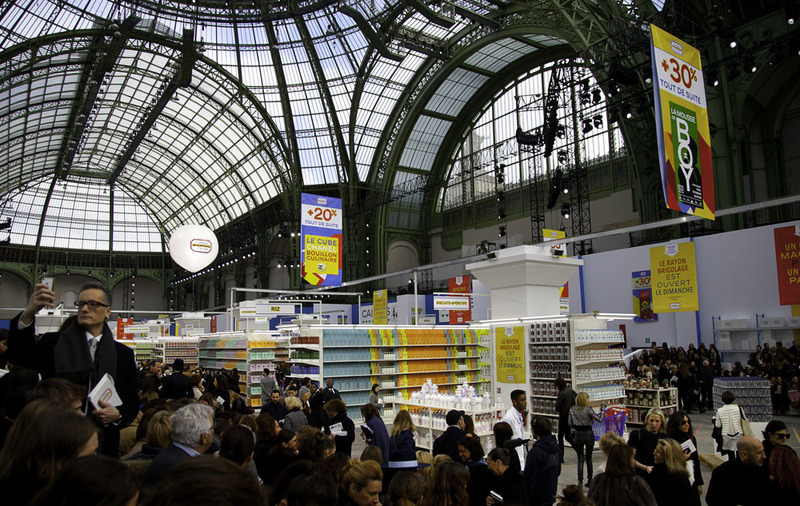 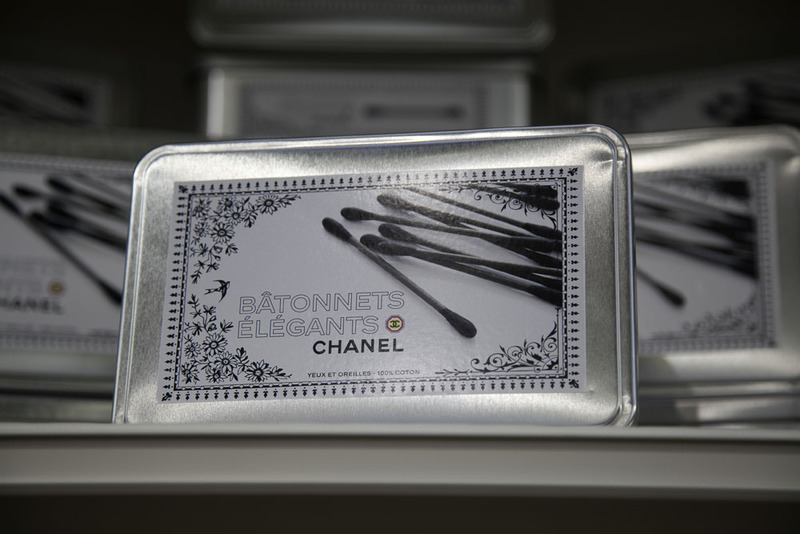 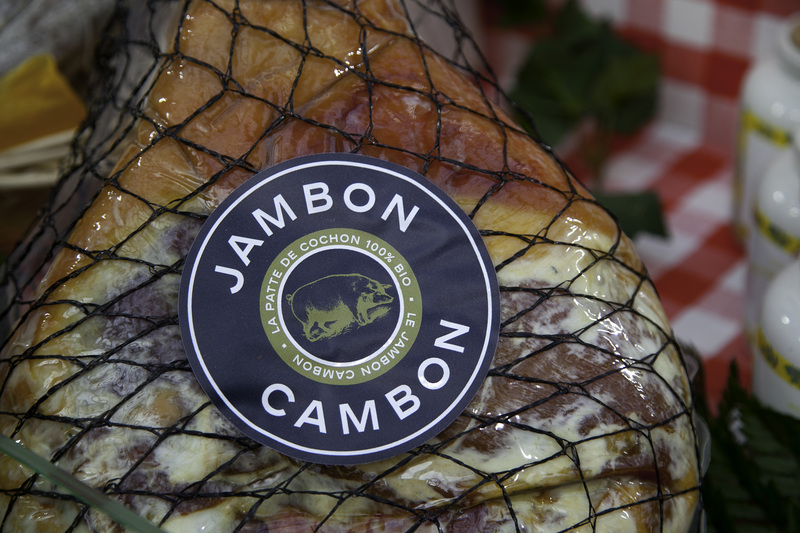 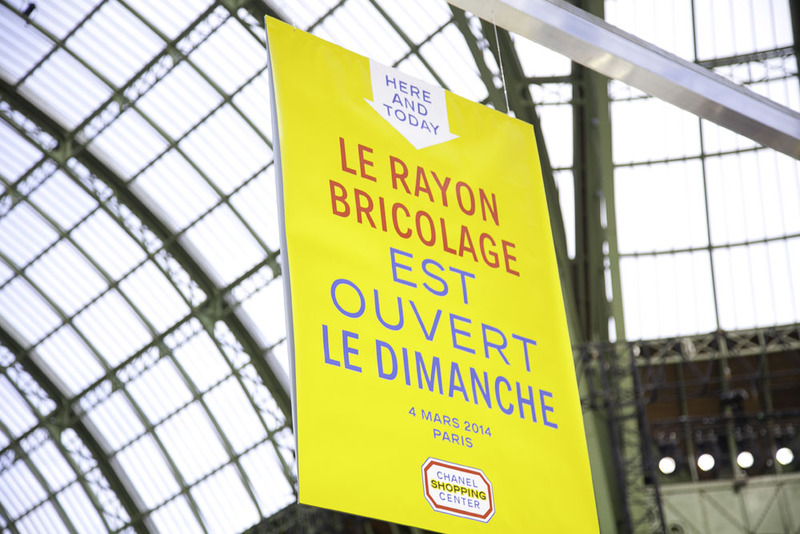 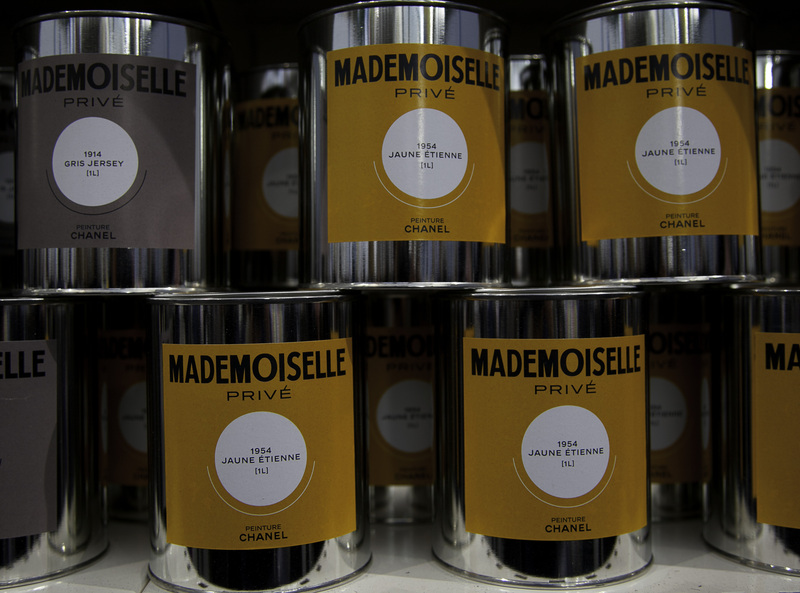 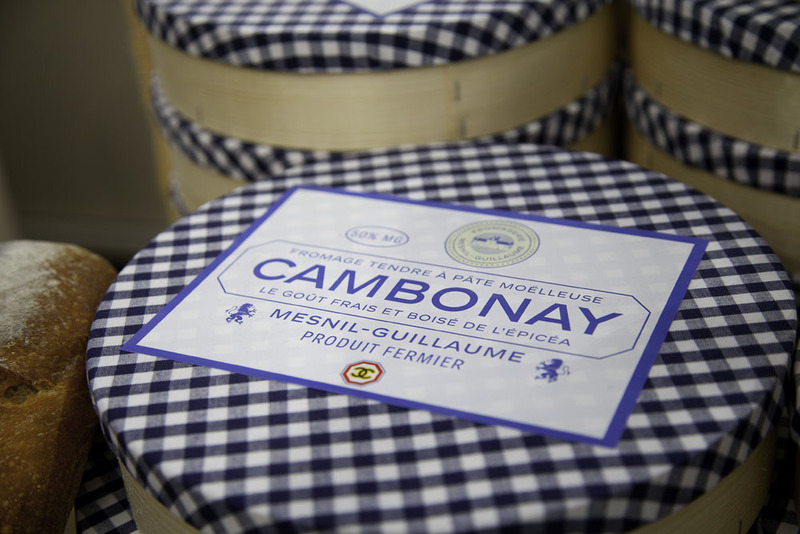 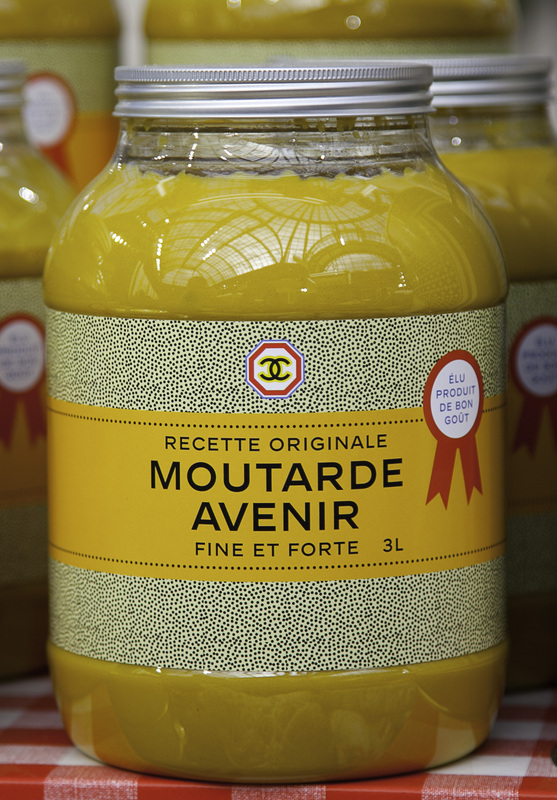 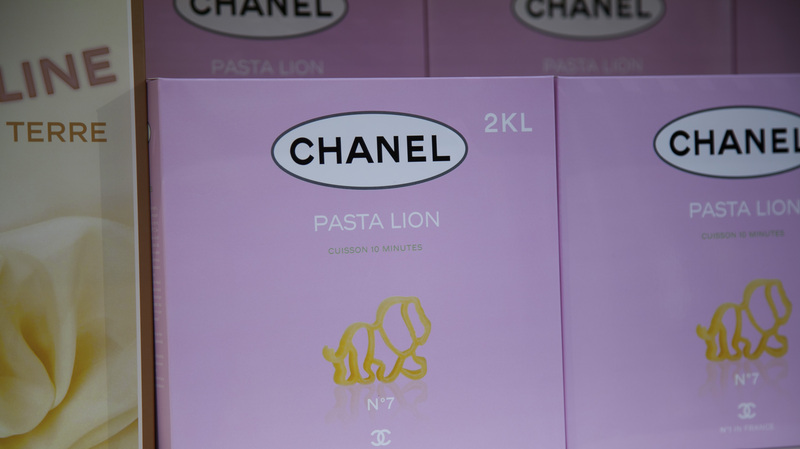 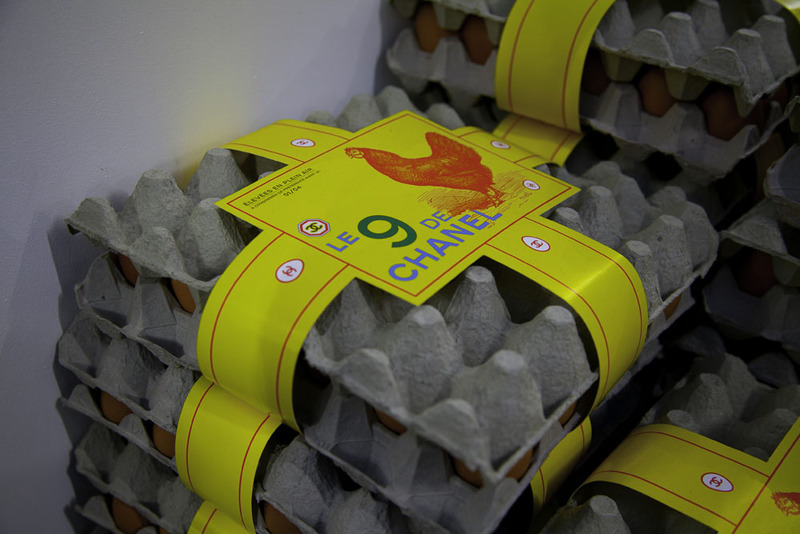 More than 500 products of our every day lives where “Chanel-ized” creatively though packaging and naming : Jam: Jambon Cambon, Hair Mousse : La Mousee de Boy, Pasta: Signorina Farfalle, Cheese Cambonay Cheese, Handkerchiefs : Les Chagrins de Gabrielle… and many others. 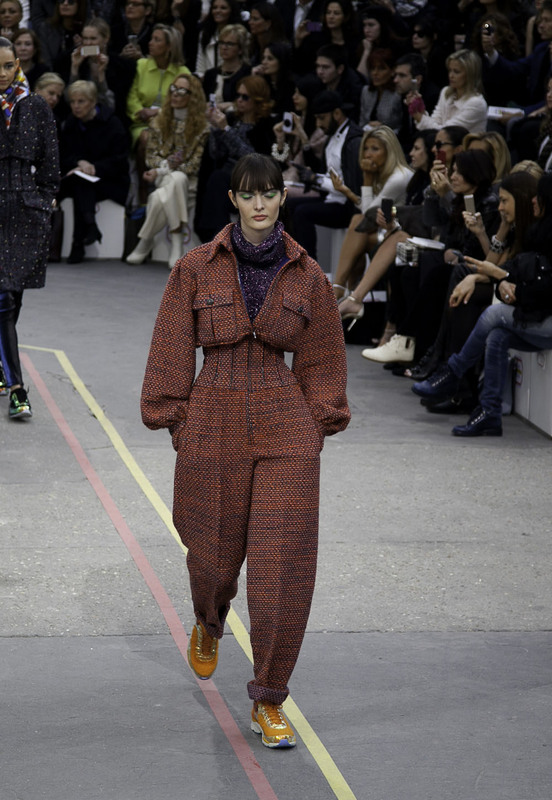 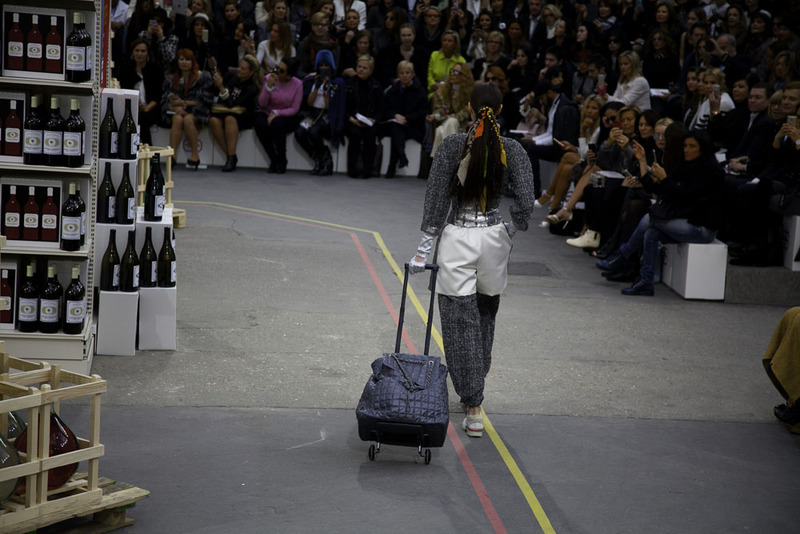 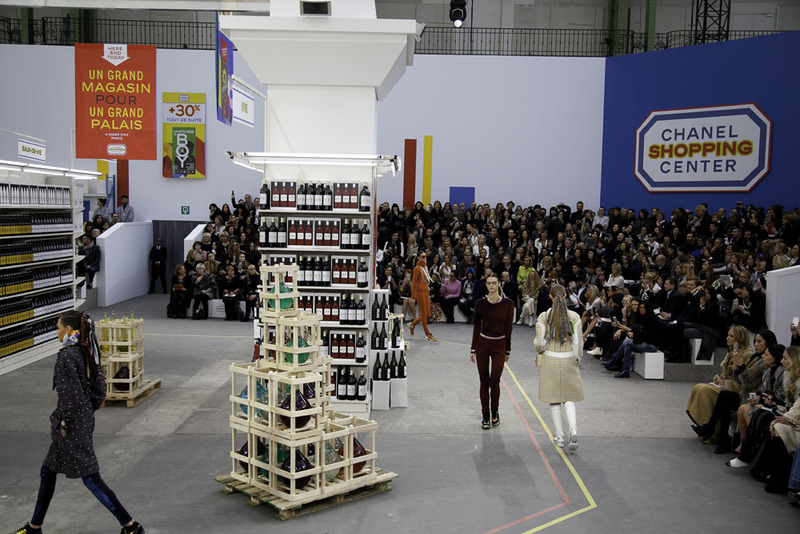 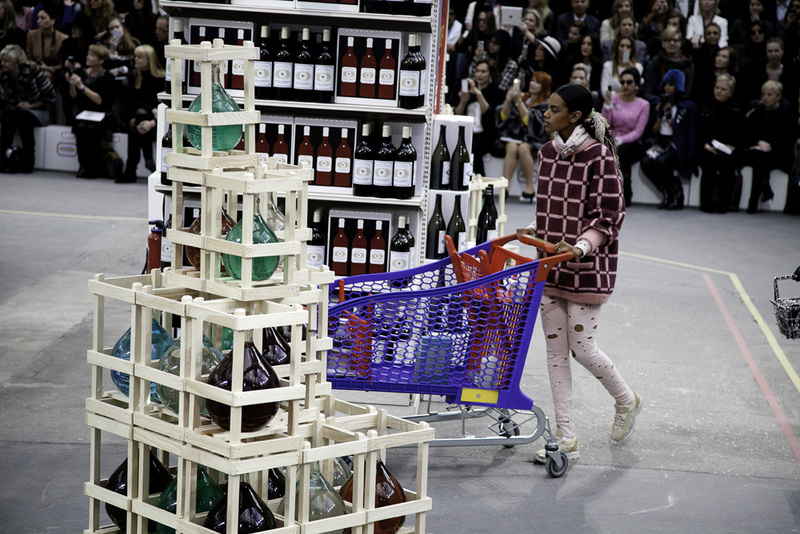 The show was a true satire to the most mundane of consumerism and the clothes adapted to the scene, creating sporty looks, bags that look like baskets, bags that look like milk cartoons and little “chariot” in tweed. 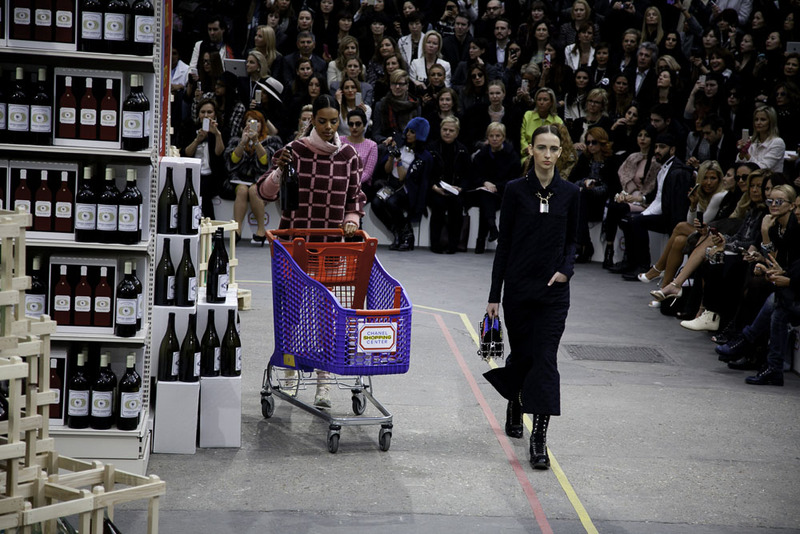 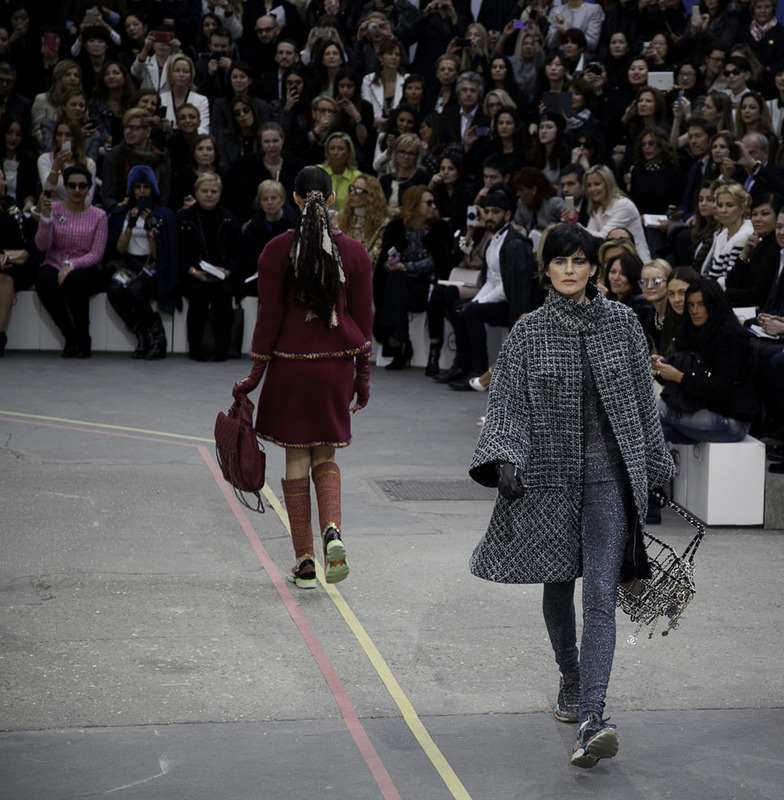 Everybody was wearing tennis shoes, “Naturally” Lagerfeld confesses, “it would look ridiculous a woman wearing stilettos at the super market. 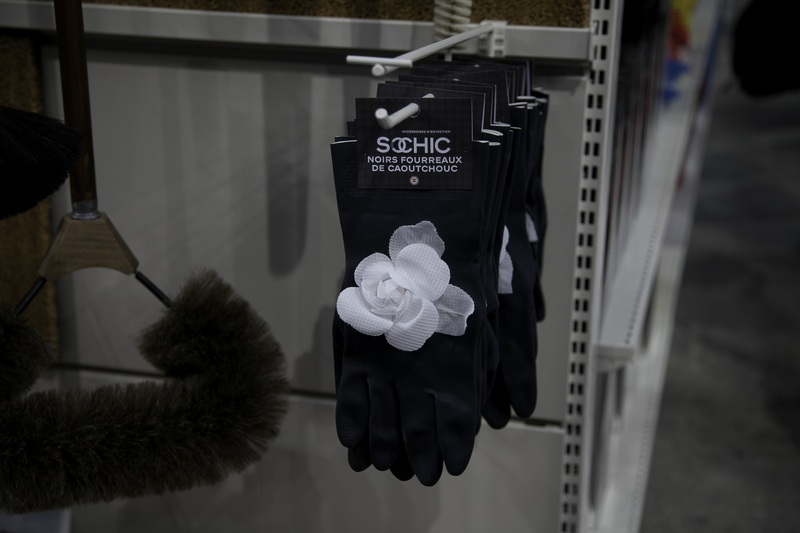 Indeed, also they would wear them with his latest Haute Couture collection. 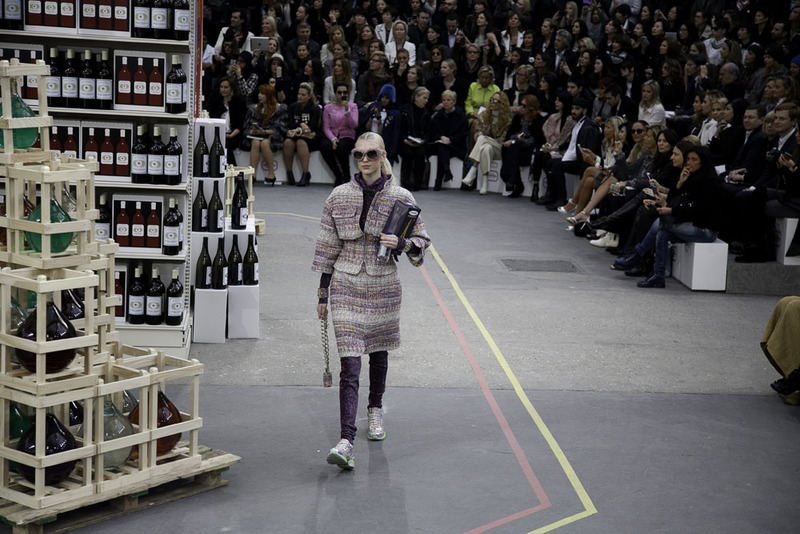 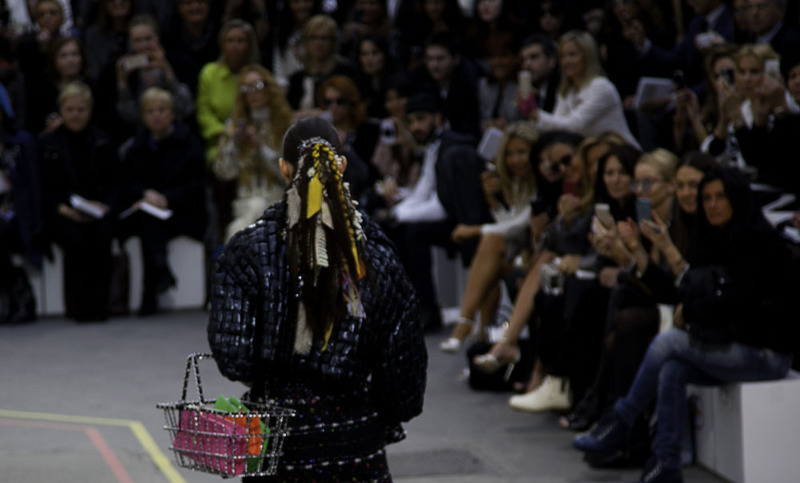 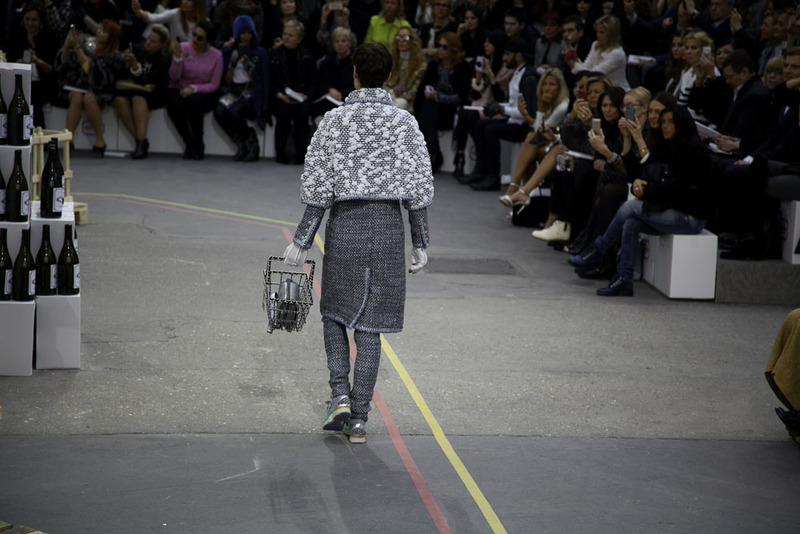 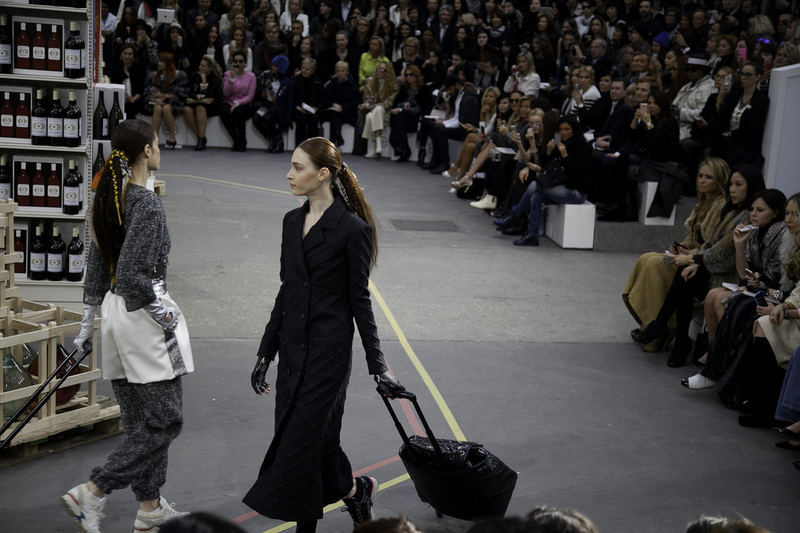 So here you have some moments of one of the most creative fashion shows of our times.